Grades 8 – 12 welcome with appropriate preparation. 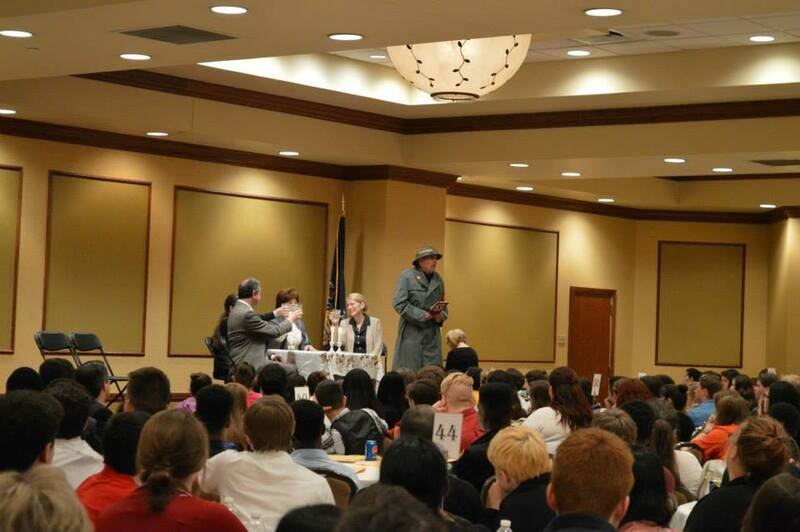 What: The Teen Symposium on the Holocaust is a full day program that deals with the causes and effects of the Holocaust. 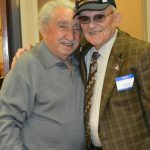 It also provides an opportunity for participants to meet with survivors of the Holocaust and American GIs, who liberated the Nazi concentration camps. Sessions with survivors are the core of the day. Meetings with these witnesses bring insights and understanding that only such “living history” can bring to those who hear firsthand testimony. 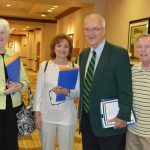 Each day’s program will be held at the Hilton Hotel on Adams Avenue, with breakout sessions in different conference rooms. The day will begin with two brief introductory sessions followed by the film, Children Remember the Holocaust. Breakout sessions follow, where small group meetings with survivors are held. After lunch, attendees will return to the Casey Ballroom for the production of Lida Stein and the Righteous Gentile and a guided audience discussion. The afternoon session is a 50 minute play that follows “ordinary” people from “ordinary” families caught up in the extraordinary political and social upheaval during the Nazi era. It focuses on the relationship between Lida Stein, a Jewish teenage girl, and her best friend Dora Krause, a German teenage girl. The play probes issues from the perspective of teenagers, both Jewish and non-Jewish, who are swept up in life-altering decisions about friendship, politics, and family loyalty in difficult times. The audience discussion that follows addresses two key aspects of the Holocaust era: the gradual intimidation and eventual segregation of the Jewish community from the larger society, and the characters, motivations and consequences of the decisions of friendly and non-friendly German adults and youth. It will also focus on peer pressure and its impact on decision making, family loyalty, personal responsibility, moral strength, and commitment. The only mandatory fee involved is lunch prepared by Hilton’s food service. The cost is $7.00 for students and $9.00 for teachers. (Please note that teachers will be eating with their students). Registration begins on a first-come, first-served basis upon the receipt of this notice to our office. It will end when all available spaces are filled. Participation requires adherence to the time schedule, which includes check in before 8:50AM. Registration deadline is April 20th with payment in full. 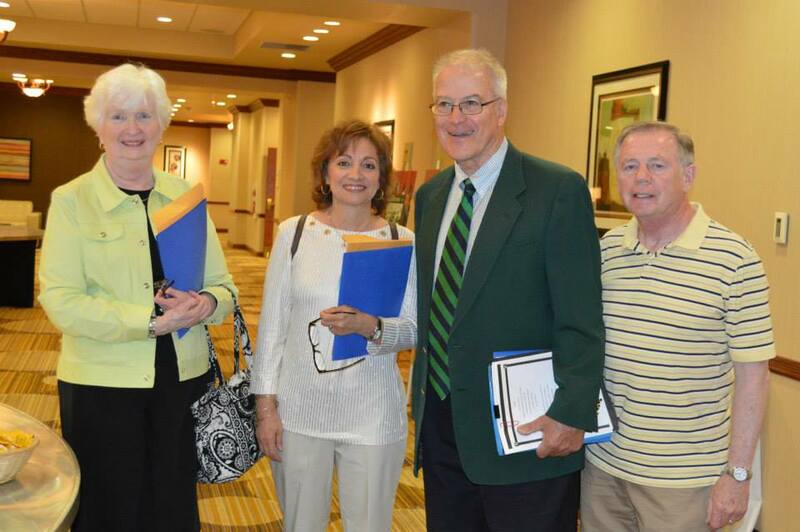 Payees will incur a $25.00 fee if paid on the day of the Symposium. Please be aware, and make your students aware, of the fact that the survivor they meet will have gone through one or more of many experiences in the Holocaust, but may not be a survivor of a concentration camp. School groups are divided so that participants from each school meet several people and can share what they learn upon returning to school. 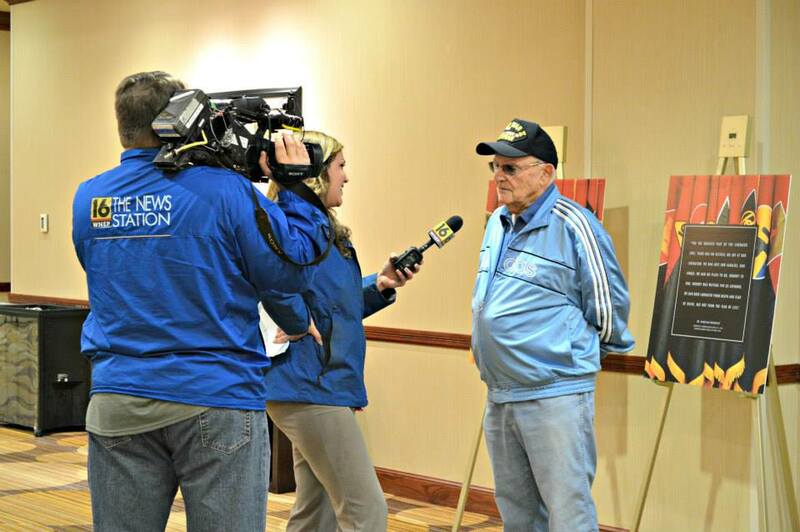 Registration form may be faxed to 570-346-6147 or mailed to HERC, 601 Jefferson Ave., Scranton PA 18510. 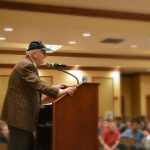 The 27th Annual Teen Symposium on the Holocaust, held on May 5th and 6th, was hosted at Hilton Scranton & Conference Center. 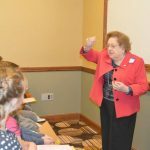 Over 1,400 students, teachers, and administrators from both public and parochial schools, traveled from 26 school districts in five counties, including two schools from Sullivan County, New York. Several home-schooled children and their parents also participated in the events of the day. Another major highlight attached to the Symposium was an assembly on Wednesday morning at Tunkhannock Area Middle School. Frida Herskovits spoke with over 400 attentive middle school students, who welcomed her with a song and original poems. Special thanks to Sara Ergott and Debbie Johnson, middle school language arts teacher, and Jim Timmons, Tunkhannock Area Middle School Principal, for arranging this wonderful event. 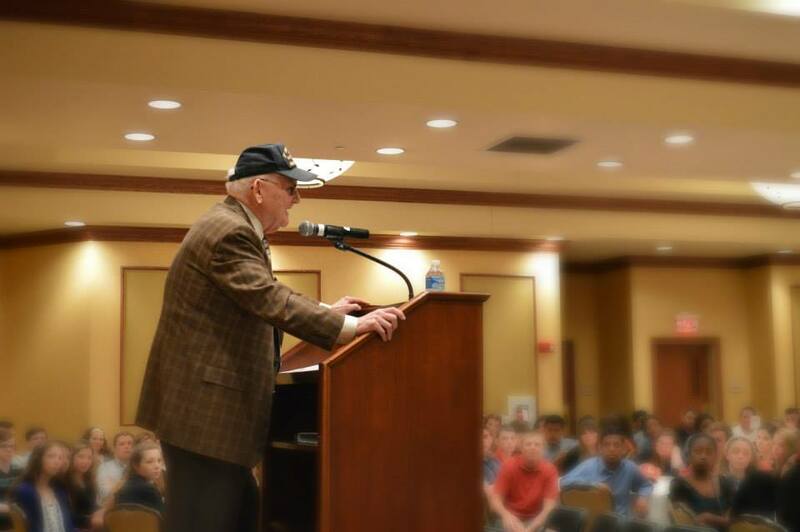 The Annual Teen Symposium on the Holocaust reached over 1,800 students and teachers with a program that works to enhance the teaching and learning of the lessons of the Holocaust, to promote the right of all people to be treated with dignity and respect, and to encourage students to speak up and act against all forms of bigotry and prejudice. Although planners were initially concerned with the Pennsylvania State testing window for the Keystone Tests and recent school budgets cuts, we were extremely pleased with the level of participation. Area superintendents, principals, and school board members made every effort to work around these important tests so their students would be able to participate in the symposium. We are humbled and extremely grateful for their outstanding support. 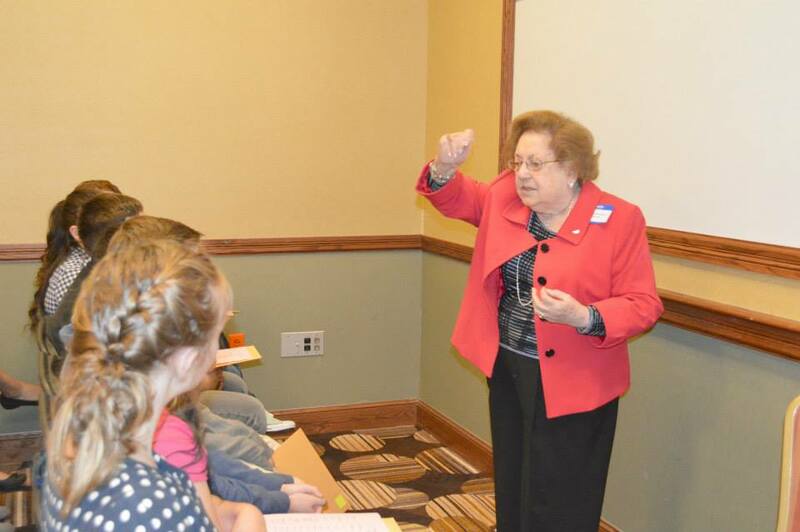 The Annual Teen Symposium on the Holocaust is a two-day program that was held at the Hilton Scranton and Conference Center. 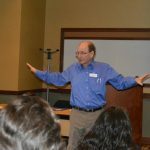 Each day different schools participated from 8:50 a.m. to 1:30 p.m. on programs focused on the Holocaust, the causes, the development and the consequences. 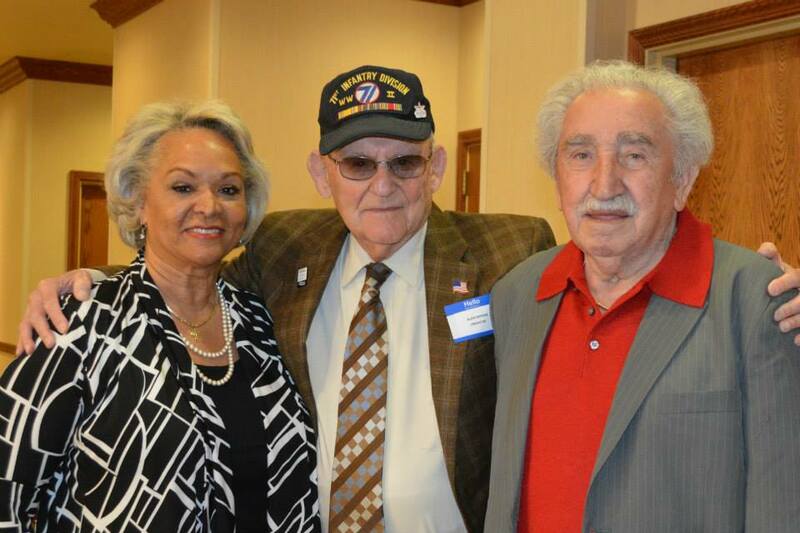 The overwhelming highlight for all attendees was the personal face-to-face meetings with survivors of the Holocaust and two liberating soldiers. Intimate groups were created rather than large venues for the students to hear the testimony of the survivors. They candidly shared their experiences and followed up with a question and answer session. 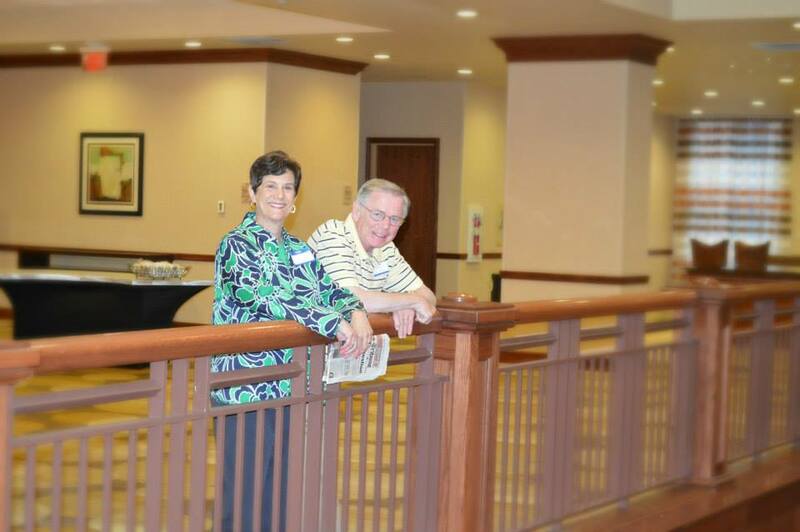 Each guest speaker has his/her unique testimony, which often encompasses memories of close family and friends. Some remained sole survivors, others were lucky to survive and reunite with one or more surviving family members. 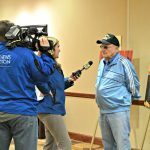 The program provided all participants with the increasingly rare ability to hear “living history” in a very personal setting, rendering a moving and emotional impact. Educators, who have attended in the past, felt strongly about the importance of the personal setting for their students. It allowed a closer connection and was a very unique learning opportunity for their students. Many teachers were impressed that despite private pain and great trauma, each speaker tried to impress on their young listeners the need to shy away from prejudice, bullying, labeling, and negative behavior toward their peers and other individuals. Each of the speakers truly serves as a positive role model for the young people who hear their words. The survivors built new lives, after living through unimaginable hardship, and they have become contributing members of society, who share messages of hope and light. Each day of the symposium began with registration and the distribution of a materials kit for each student. 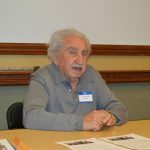 Teachers were gifted with a six book Holocaust series: Kristallnacht, Rescuing the Danish Jews, Saving Children, The Warsaw Ghetto Uprising, Auschwitz, and Liberation. 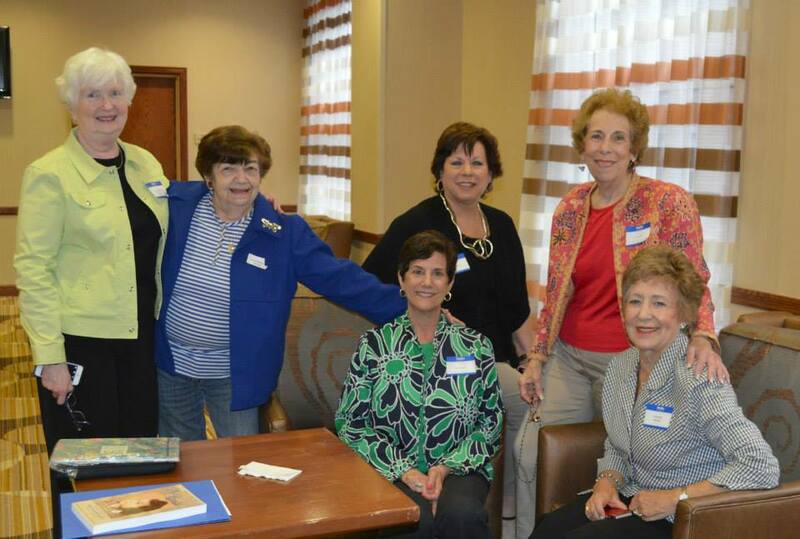 The books were a gift made possible through the generosity of Joanne Aronsohn Monahan. Teachers also received a donated booklet, “Unwelcomed Words”, from the Harriet and Kenneth Kupferberg Holocaust Resource Center and Archives, located at Queensborough Community College. 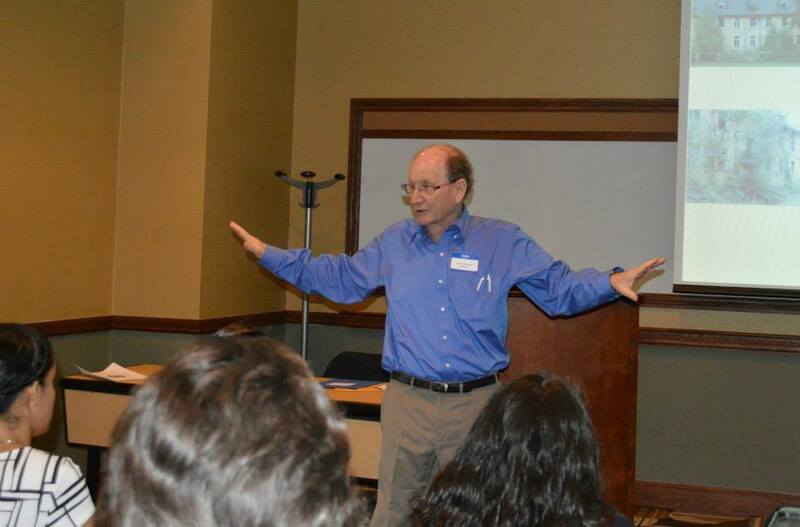 The United States Holocaust Museum donated a resource DVD for each educator highlighting the theme, “What You Do Matters.” Mr. Paul Bachow, the writer, director, and producer of A Journey into the Holocaust, donated 100 copies of the film for each teacher. The film is detailed with a deeply personal exploration into genocide and how something this atrocious happened – and continues to happen repeatedly even today. Finally, the Museum of Jewish Heritage provided valuable links from which we gleaned several teachers guides, designed to aid teachers with lessons for their students. Copies were reproduced and donated through the generosity of several anonymous donors. 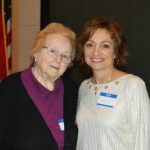 The program itself began with a welcome and the Pledge of Allegiance by Susie Connors, who graciously served as the Master of Ceremonies for the Holocaust Symposium. 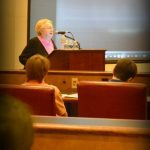 She is a retired Scranton School District teacher and Director of the planning committee for the Holocaust Education Resource Center. 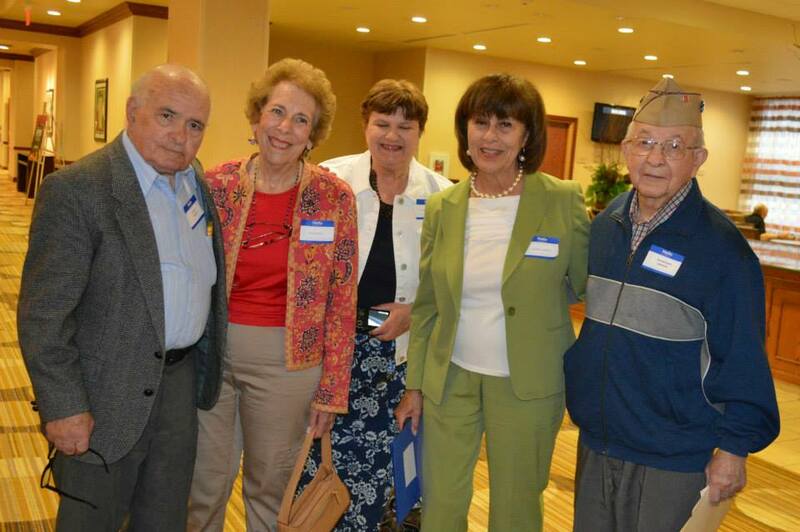 The poignant film, Children Remember the Holocaust, was then introduced and screened. It is a film that uses photographs and footage from the Holocaust years with voice-overs that are strictly words of children and teenagers taken from personal diaries and memoirs. Narrated by Keanu Reeves, the film begins with life prior to the Holocaust, and continues through the post-liberation period. In the last part, it touches on survivor guilt syndrome, how difficult it was to find and reunite family members, the hospitalization and recuperation of the ill. It concludes with the vow by those who survived, to tell the story for the many who perished in the Holocaust. 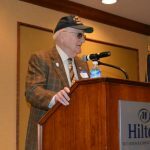 The first presenter was Alan Moskin, a World War II combat veteran who served in the 66th Infantry, 71st Division of General Patton’s 3rd Army. 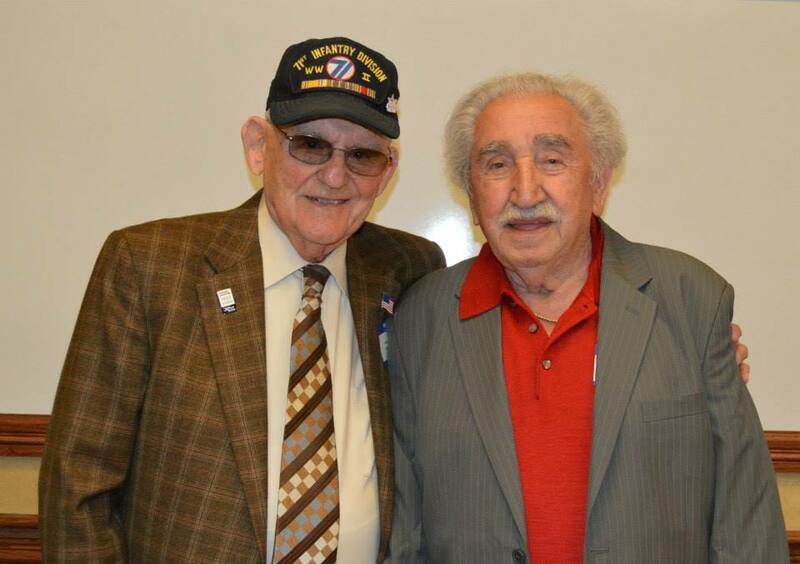 Beyond serving in heavy battles, Alan became a liberator of the Gunskirchen Concentration Camp, a sub-camp of Mathausen. 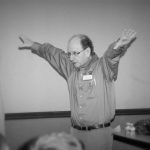 Alan is particularly skilled in transporting his listeners back in time to feel and see what he is describing, whether telling stories of his war buddies or of the horrors the soldiers encountered when they entered the camp. These were, he said, unmatched by anything previously encountered in the worst of combat. He described the help these unprepared young men were able to offer the compassion and care with which they tried to treat people who barely looked human after their mistreatment, and credited medics with doing the greatest job. He also enumerated and stressed positive actions people can take to prevent such atrocities from occurring. His talk was moving and extremely well received. The presentation was followed by many questions from the audience and concluded with a thunderous ovation. Next, participants were divided into groups and guided by Facilitators to various conference rooms of the Hilton Hotel, where they were introduced to their guest speaker. On May 5th and May 6th, there were a total of sixteen separate groups, with students from each participating school represented in the various venues. Student attention and emotion was clearly evident in every room. Sessions concluded with applause and hugs for survivors from many of the students. This part of the day is carefully crafted, so that the survivors can share these very personal testimonies with the students and in turn, those children return to their respective schools to share those stories of struggle, sacrifice, and survival. The learning experience continues in their classrooms, as they connect the testimonies to historical events in social studies and in their English classes with poetry, historical fiction and non-fiction. 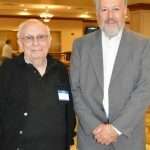 The survivor testimony session was followed by lunch in the Casey Grand Ballroom and the closing event, also known as the Abe Plotkin Memorial Lecture on the Holocaust and Social Justice. 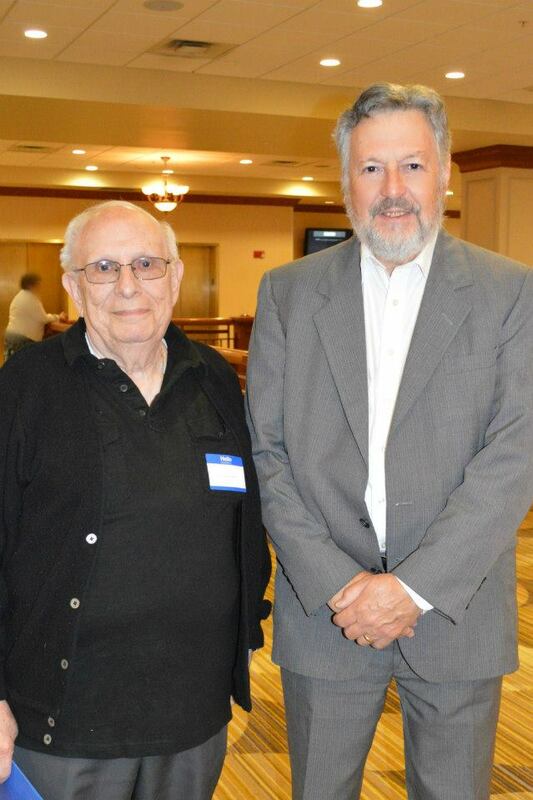 For the 27th Annual Symposium, we were very proud to present the play Lida Stein and the Righteous Gentile. The 50 minute play followed “ordinary” people from “ordinary” families, who were caught up in the extraordinary political and social upheaval of the Nazi era. It focused on the relationship between Lida Stein, a Jewish teenage girl, and her best friend Dora Krause, a German teenage girl. Lida’s parents were forced by Nazi decrees, which were announced throughout the play by a Nazi officer, to give up their daughter to the Krause family, who agreed to hide them. Lida continued to learn her school lessons from Dora’s mother. Gradually, Dora became a staunch Hitler supporter, and became extremely racist and anti-Semitic against her once-best friend. The play probed all of those issues during exceedingly difficult times from the perspective of teenagers, both Jewish and non-Jewish, who were swept up in life-altering decisions about friendship, politics and family loyalty. The audience discussion that followed addressed two key aspects of the Holocaust era: the gradual intimidation and eventual segregation of the Jewish community from the larger society, and the characters, motivations, and consequences of the decisions of friendly and non-friendly German adults and youth. The audience discussion focused on peer pressure and its impact on decision-making, family loyalty, and personal responsibility and personal safety versus moral strength and commitment. The wrap-up at the conclusion of the day included a reminder to all participants to fill out the evaluation forms, which are exceedingly important as a source of feedback to the planning committee from the Holocaust Education Resource Center. 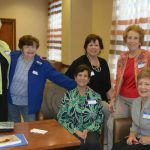 The Hilton Scranton & Conference Center and the Jewish Federation were warmly thanked for their dedication, generosity, and commitment to this program, which has reached some 20,000 young people for 27 years. Perhaps the following can provide insight into the breadth of the experiences for students and teachers in attendance. 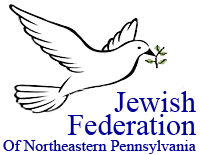 It is our sincere hope that all of the participants continue to share the knowledge, wisdom, and testimonies of the seventeen survivors and liberators with their peers, siblings, and parents. 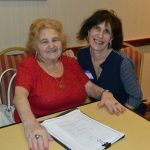 Ronnie (Renate) Breslow, a native of Germany, is a survivor of the Holocaust and was a passenger on the ship, the St. Louis. 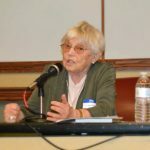 She relates her experiences to the public as a personal insight into an unimaginable part of her own life and in the larger perspective of Jewish history. 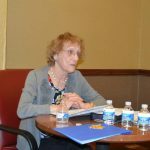 Mrs. Breslow is a member of the Speakers Bureau of the Jewish Community Relations Council of Greater Philadelphia, and a senior member of the JCRC Board of Directors. 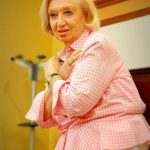 Sonia Goldstein, was born in Vilna, Poland (now called Vilnius, the capital of Lithuania), a very prosperous and cultured city of about 200,000 people – about 55,000 of whom were Jews. Sonia was educated in private schools and attended an excellent high school with plans to become a pharmacist. When the war began, Vilna became under Russian control and the family’s comfortable life changed drastically. In 1941, the Nazis occupied Vilna and all the Jews of city had to endure harsh laws and restrictions along with constant fear. Sonia and her family were later forced into the Vilna ghetto, and after enduring many hardships, the family was transported to the notorious Stuthof Concentration Camp. Sonia and her mother survived the camp, but were forced on a grueling Death March. Trudy Klein Gompers was born in Vienna, Austria in 1937. On March 12, 1938, the Nazis annexed Austria and life for her family immediately changed for the worse. Trudy’s mother was personally humiliated when members of the Nazi party demanded that she scrub the streets in preparation for a visit by Adolf Hitler. 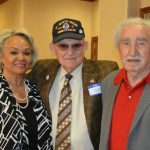 Trudy, along with her father, mother, and brother, boarded a train and left Vienna for London, England where they survived the war and then sailed to New York City in 1946. Elly Gross (formerly Berkovits) was born in Romania. Her father perished early in the war. Elly and her remaining family, her mother and younger brother Adalbert, were taken to a ghetto in 1944 along with most other Jews in her area. 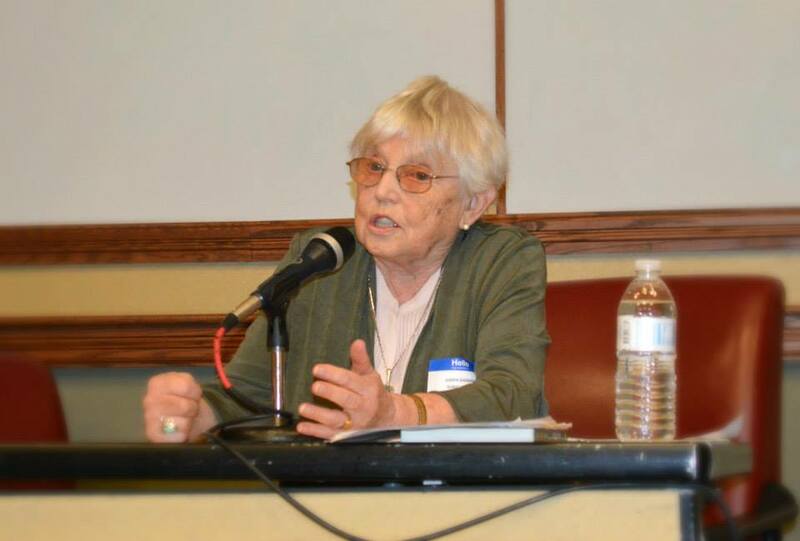 Six weeks later, her family, along with thousands of other Jews, were transported via cattle cars to Auschwitz Concentration Camp where she was separated from her mother and brother. Elly credits her survival of the camp to “miracles” noting that few others of her age group survived the ordeal. She was transferred to Fallersleben, a part of the Neuengamme Concentration Camp, where she worked as a slave laborer for Volkswagen until liberation by the Allies on April 14, 1945. Elly is a painter, a poet, and the author of four books. Ruth Gruener was a hidden child in Poland under extraordinary circumstances. She was hidden in a home in which the rest of the family would have turned her over to the Nazis, if they knew the mother and grandmother were hiding her in a trunk under their noses. She conveys clearly the fear that she faced daily as a seven year old and tells of a harrowing day of nearly being turned over to the Nazis. However, her focus was one of hope and kindness to one another. Ruth Hartz was a four year old, hidden child during the Holocaust in southern France. During that time she had to change her name to Renee to hide her Jewish identity. In addition to being sheltered by an ordinary French farm family, she spent six months in a small Catholic convent to avoid capture by both the Vichy French Police and the Gestapo. When informants told the authorities that the nuns were hiding Jewish children, the Mother Superior was forced to lie to keep Ruth and the other children safe. Only the Mother Superior knew that the children were Jewish. The other nuns thought they were just orphans. In the days of the French Vichy Government and the Gestapo, it was anything but ordinary to rescue a Jewish child. Hers testimony is one of courage, goodness, and gratitude. She and her family saw to it that the rescuers were honored by Yad Vashem in Jerusalem, and she has directed and produced a DVD about them, “A Legacy of Goodness.” Her message of gratitude was eloquently expressed. Michael Herskovitz was born and raised in Czechoslovakia. 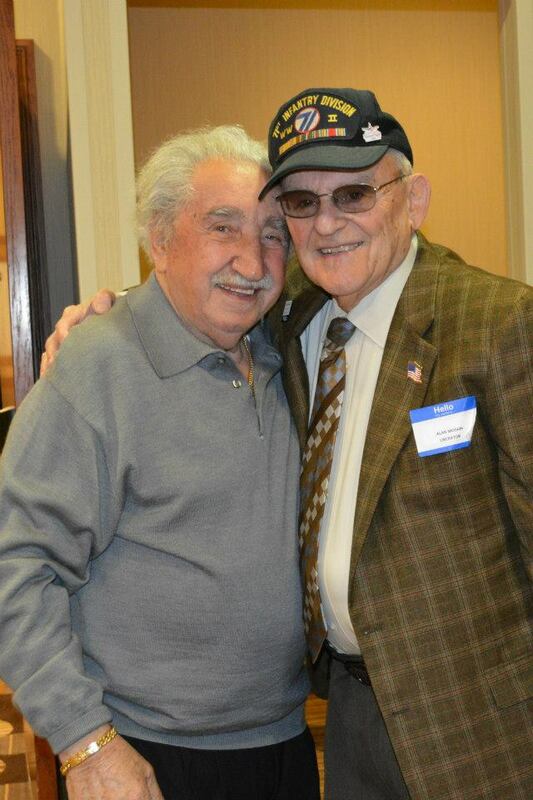 Life changed very drastically for him at age 15 when the Nazis marched into his small town. 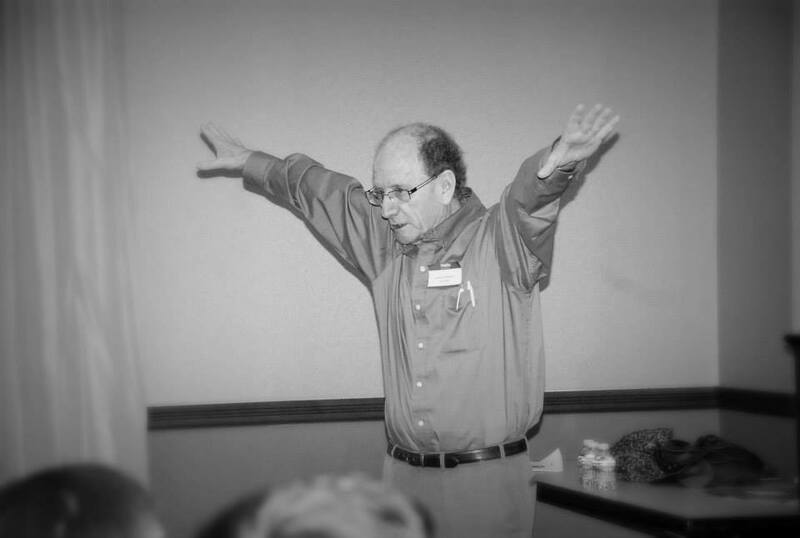 Young Michael went through a series of experiences that he shared including ghetto life, being shipped by cattle car to an infamous concentration camp, forced into labor and much more. 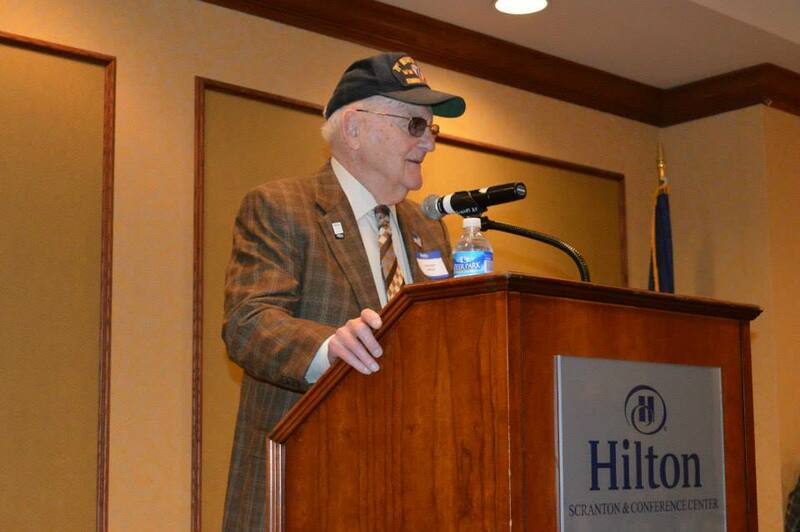 His story of survival, including post-liberation, was remarkable. Frida Herskovits was born in Czechoslovakia and was taken to the first of three concentration camps she endured at the age of 17. After the war, like many other survivors, Frida tried to get to Palestine. However, the British, who were then in control, turned away the boatload of refugees and sent them to Cyprus. She eventually got to Palestine in 1948, and lived in Israel. In 1955, she came to America with her husband and son to join relatives here. Many would be bitter after such hardships, yet Frida continues to espouse a message of friendship, kindness, and love. Anneliese Nossbaum was born in Germany. 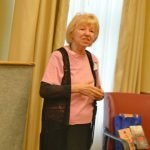 She was imprisoned by the Nazis and placed in several concentration camps during the Holocaust, including two years in Terezin and time as a slave laborer. She was eventually liberated from Mauthausen, Austria. 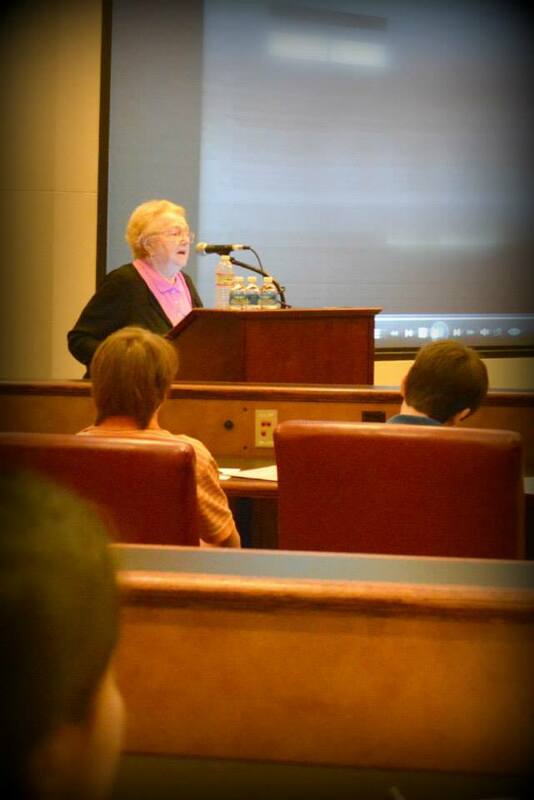 Mrs Nossbaum has lectured for the past 25 years, primarily to high school students throughout the Philadelphia area. 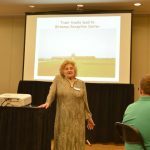 She was recently invited to go to Germany to speak with students about the Holocaust. 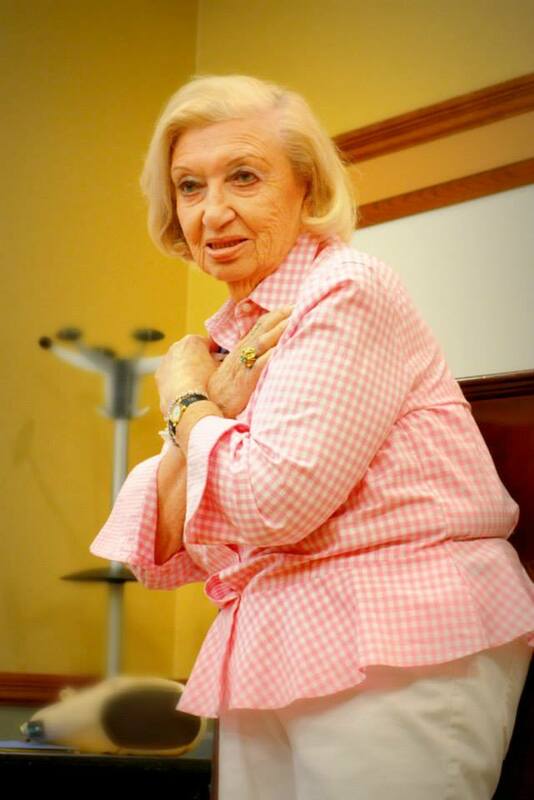 Manya Perel was born in Radom, Poland and is a survivor of the Holocaust. 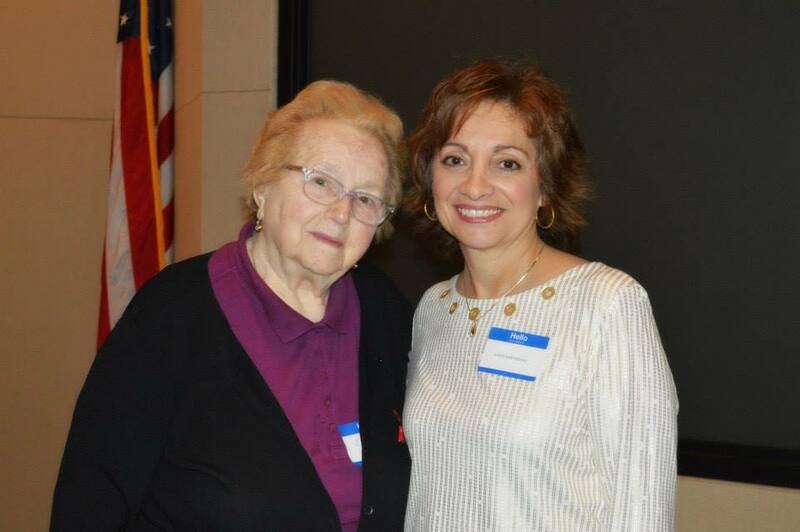 Mrs. Perel was 15 years old at the beginning of the Holocaust and was a prisoner in four concentration camps in Poland and four more in Germany. 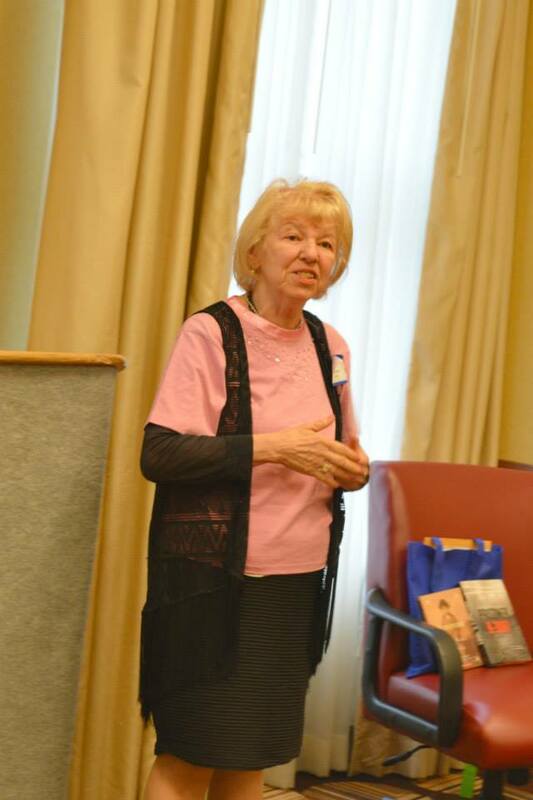 She survived deportation to the death camp of Treblinka, where the remainder of her family perished. 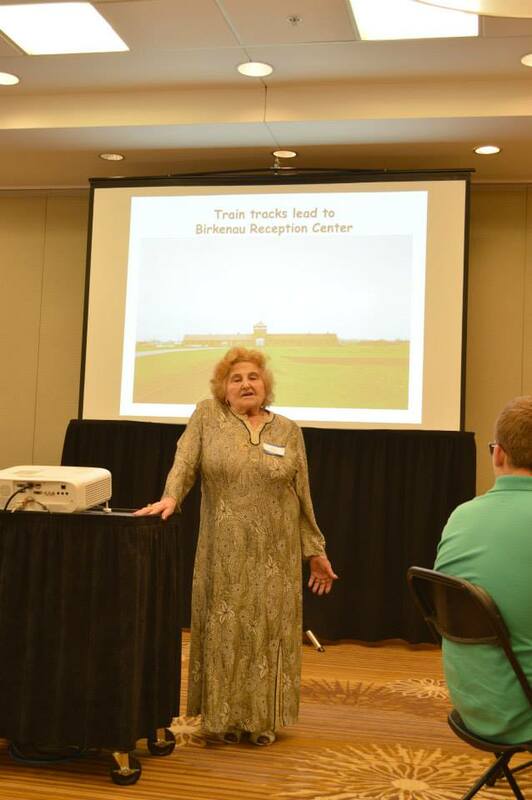 Manya speaks of her experiences at the Annual Youth Symposium on the Holocaust in Philadelphia and has done so for many years and is a member of the Speakers Bureau of the Jewish Community Relations Council of Greater Philadelphia. Judith Sherman was born in Czechoslovakia. 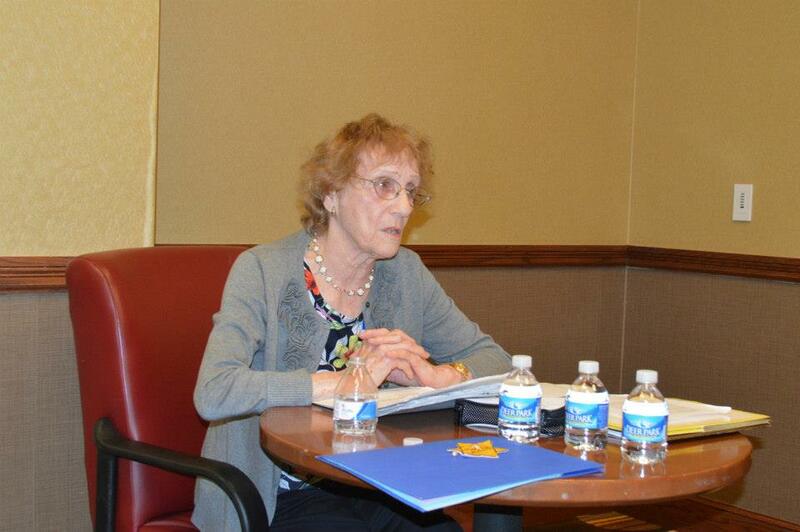 She is a survivor of Ravensbruck Concentration Camp, where she was imprisoned at age 13. She was in hiding prior to betrayal, capture, and imprisonment. 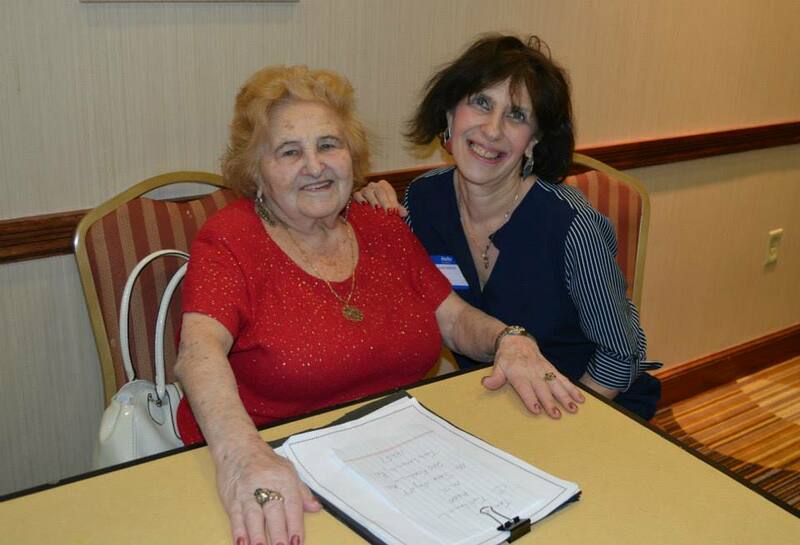 Judith authored her recently published memoir, “Say the Name – A Survivor’s Tale in Prose and Poetry.” She is a retired social worker, who spends much of her time in Holocaust education projects. 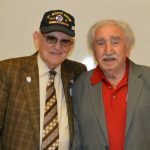 Dr. Micha Tomkiewicz, a survivor, had the distinction of a shared classroom with his liberator, Scrantonian Walter Gantz. 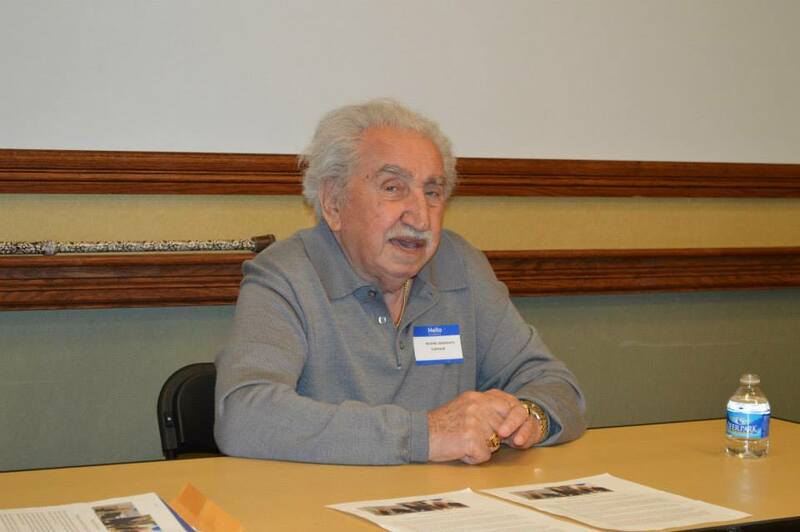 Tomkiewicz was one of the many young children packed on a train with their mothers, traveling for most of a week with very little food and water, unaware that they were headed toward Theresienstadt. When the Germans heard that the Americans were approaching, they simply abandoned the train with the prisoners. Gantz, a medic with the 95th Medical Battalion, traveling with the 30th Infantry Division, discovered the abandoned train. It was a train of cattle cars, filled with survivors of Bergen-Belsen discovered on April 14, 1945, about a month before the end of the war. The American soldiers, who discovered the train, opened the doors to horrors. They encountered “people packed in like sardines” and immediately called for medics to set up a field hospital to tend to the sick and dying. Young Walter, who was among the medics, treated these survivors for seven weeks. First, they were tended to at the train site, then in a building in a nearby town that was converted into a hospital. Each gentleman made the special effort to speak together at the Symposium. 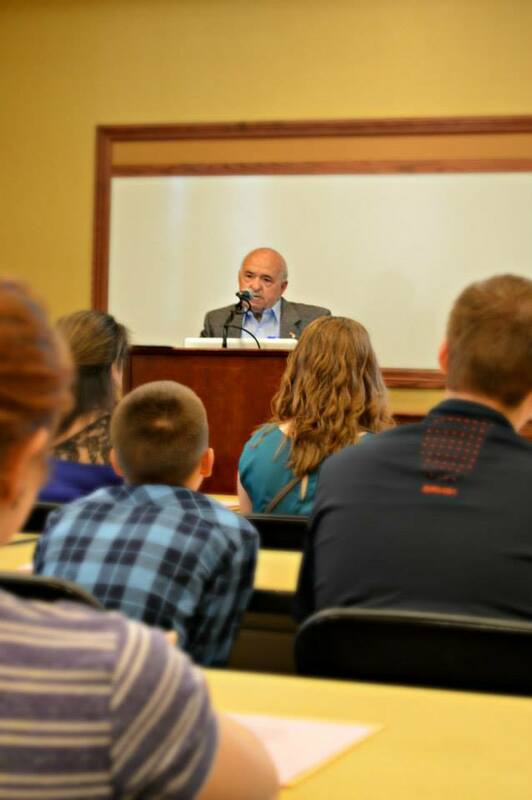 Students in this room heard their personal story from two different perspectives. Micha Tomkiewicz is now a professor of physics at Brooklyn College; professor of physics and chemistry in the School for Graduate Studies of the City University of New York; and director of the Environmental Studies Program and the Electrochemistry Institute at Brooklyn College. 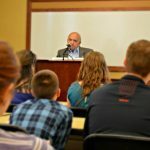 He has published regularly in science publications and recently published a book on climate change. Ela Stein Weissberger was taken to the Terezin Concentration Camp in 1942 at the age of 11. She was among the handful of children who survived. Ela was among the children who performed in the children’s opera Brundibar, which was performed in Terezin 55 times. She played the cat, and was one of five or six children who were kept throughout the years. The rest of the cast, a large choir, was constantly changing as children were transported to Auschwitz. Ela was absolutely lucky to be in a children’s home with the great artist, Friedl Dicker Brandeis. He worked tirelessly with the children on art and poetry, in order to bring some structure and joy to their lives, and to allow them to express themselves. 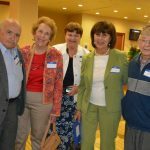 The success of the Annual Teen Symposium on the Holocaust is attributed to the dedication and generosity of a great number of individuals, organizations, institutions, corporations, and foundations. Hilton Scranton &Conference Center: John Argonish, General Manager, Ryan M. Alpert, Director of Sales and Marketing, Paul Junas, Director of Conference Services, and Aleiza Yasin, Executive Group Sales Manager, Joseph Tripodi, Food and Beverage Manager, Kim Kaminski, Banquet Manager, Daniel Rosato, Set up Manager, Sue Cocodrilli, Guest Services Manager, and Steve Wesley of JP Lilley. A very special thank you is also extended to the Dining and Reception staff, as well as, the Bell Staff for their assistance with the buses. 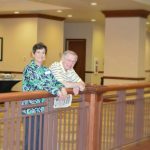 Together they made the experience at the Hilton a stellar event for survivors, liberators, faculty, students, and adult participants. Courtside Document Services for assisting with the printing of Holocaust Education Handbooks for each participating teacher. James Devers, Associate VP for Facilities Operations at the University of Scranton and Susan Falbo, for allowing school buses to park and to be staged for pick up on campus. As always, a very special thank you to all school superintendents, principals, and teachers, who remain committed to this program. Finally, we are exceedingly grateful to the Hilton Scranton & Conference Center and the Jewish Federation, Cosponsors of the 27th Annual Teen Symposium on the Holocaust, for their overwhelming support.